The story of this great Italian brand began in 1976, in Falerone at the heart of the Marche footwear manufacturing district. A story done of challenges and successes. The company was established as a manufacturer of woman shoes but during the years it has increased its range of products and today it manufactures also man shoes, handbags and belts that permit to show very exclusive combinations to the person that is always searching for something new, particular and really unique. FIORANGELO brand means quality. 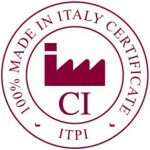 All the products are in fact entirely MADE IN ITALY, made according to the tipically italian craftmade traditional processing. The philosophy of the company is from always to realize a product that could satisfy the Customers with fine quality, using fashion designs and, at the same time, keeping an optimal comfort. The name FIORANGELO in fact has always been synonymous with high quality, style and up to the minute fashion.